It had rained hard the previous night, with some good snow in the mountains. The fog and low clouds were slow to burn off the next morning. But oh how those glorious peaks above it all made my heart sing! 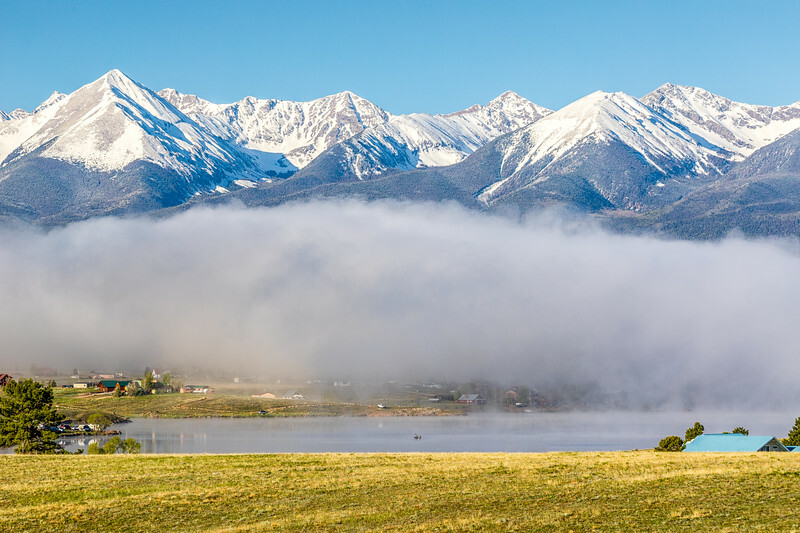 The Sangre de Cristo Mountains are the southernmost subrange of the Rocky Mountains in the United States, and comprise a spectacular collection of peaks that stretches 250 miles from Salida, Colorado south to near Santa Fe, New Mexico. One of the longest fault-block mountain chains in the world, it features many “thirteeners” (13,000+ feet peaks) and at least nine named “fourteeners” (14,000+ feet / 4,268+ meters). The image was made using a Canon EOS 5D Mark IV digital body, a Canon EF 180mm f/3.5L Macro USM lens, at f/11 for 1/80 second at 100 ISO.